Here I am on Sunday night at almost midnight trying to meet a deadline for a ZPIC. I haven’t been home except to sleep and bat he in two weeks and there wasn’t a whole lot of sleeping involved. Sometimes I wonder why I do this kind of work and keep these kinds of hours. If you could see Alice and me right now, you would not be impressed. We are tired and cranky and frustrated and looking forward to getting this project out the door. But then something happens and I remember why it is so important that I do this. On Friday, I went to pick up a prescription and I was waiting with a beautiful young lady with a list in her hand. She was a home health nurse who went a step beyond telling her confused patient to pick up her medicines and to call in refills early. 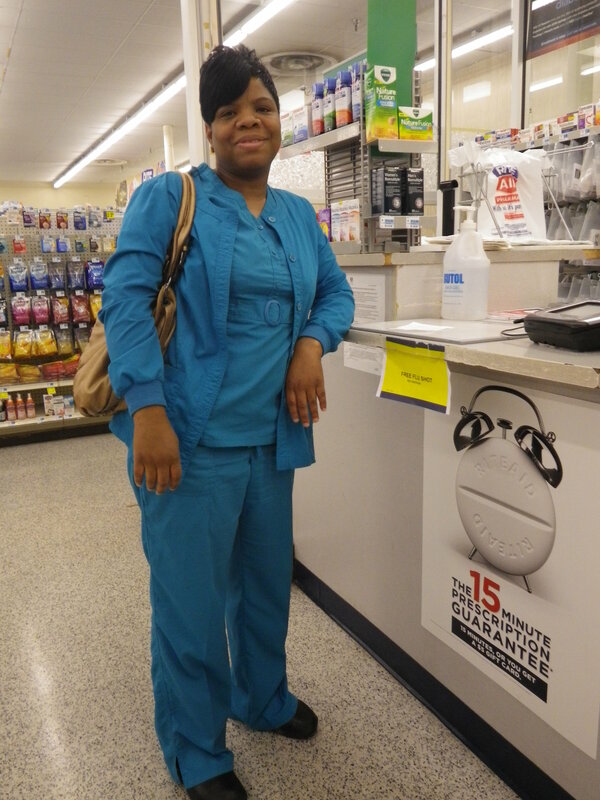 She was there picking up two prescriptions for her patient. Hopefully our hard work and long hours will allow nurses to go on providing the services that are really important. I am so grateful to Chantel for reminding what the end product of all the work we do together should. I didn’t get her last name but I did get her picture to share it with you. If you happen to know this young lady or somebody equally as dedicated, please take a minute and thank them for making home health an honorable profession. I am so proud to be a colleague of nurses like this. I just hope she charts the damn meds! I always say, one of the best things about being a nurse is that I get to work with nurses! Chantel is a case in point.